In this article, we are going to take a glance at the user experience refresh coming in the July 2017 release of Dynamics 365. 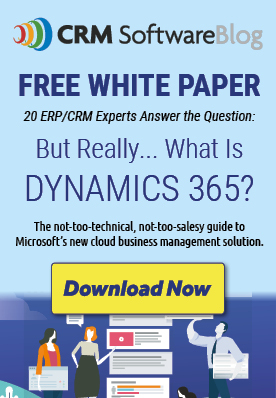 Dynamics CRM 2013 introduced a redesigned User Experience including simplified navigation, flat user interface and a new form model with an optimized layout. While the updated User Experience provided an efficient single window interface that was much more intuitive than the CRM 2011 interface, there is always room for improvement. Too much white space - While some white space is good and in some cases, it helps give emphasis to a content area, we’ve found that in the case of forms and dashboards it negatively impacts the user experience. Header text formatting - Text in the Header of a form can be cut off vertically and horizontally if the field labels or values do not fit within the header space. Tabs and other controls are not intuitive - Some controls on the forms are not easy to identify. For example, the activity feed tabs appear as text on the form. It is difficult to know that these are content tabs. Fonts - There are multiple fonts used giving the form an inconsistent look and feel. Now let’s take a look at the refreshed User Interface that the Dynamics 365 came up with in response to the feedback received. Borders around the content areas have been added to reduce the white space. The spacing between the columns have also been made uniform. A “clip board” structure has been added to separate the header from the main content area. Word Wrapping capabilities have been added to the form fields and headers. Word Wrap can be control by the System Administrator by turning this feature on or off in the System Setting. The concept of “Empty States” has been added for content areas. This will help users identify content areas that do not yet contain content. If a content area is empty, an icon and helpful message will appear. The helpful message will direct the user as to what next steps to take to add content to the content area. A visual cue has been added to input fields in the form of a dashed line. The line will display if there is no value in the field, which will help users identify which fields are editable. The “clip board” structure has been applied to Dashboards, giving the interface a more professional look and feel. The refresh also includes theming enhancements. All the component included in the refresh are theme capable. Meaning that custom colors can be applied to match your corporate branding. Page and section header colors can be customized. When the header color is selected, the system will make recommendations for component colors. The ability to theme sub grids at the control level has been added. For example, if you have a Lead and Contact sub grid on an Account form, different colors can be assigned to each grid.